Are Too Many People Moving to Hawaii to Live? Navigation:Home/Adjusting to, hawaii/Are Too Many People Moving to Hawaii to Live? I was looking at some of the population graphs Google gives for the islands. It gives a good overview of what is happening in the various counties in Hawaii for population growth. Before looking at this data, I would have thought the rate the islands are growing at, would be something like this. There doesn’t seem to be too many people moving to Hawaii – any of the islands, though some islands have doubled in population growth since 1980. That was 33 years ago, and their populations were not high back then. Big Island (gained 94,000) and Maui County (gained 86,000) have both doubled their number of residents just since the year 2000. 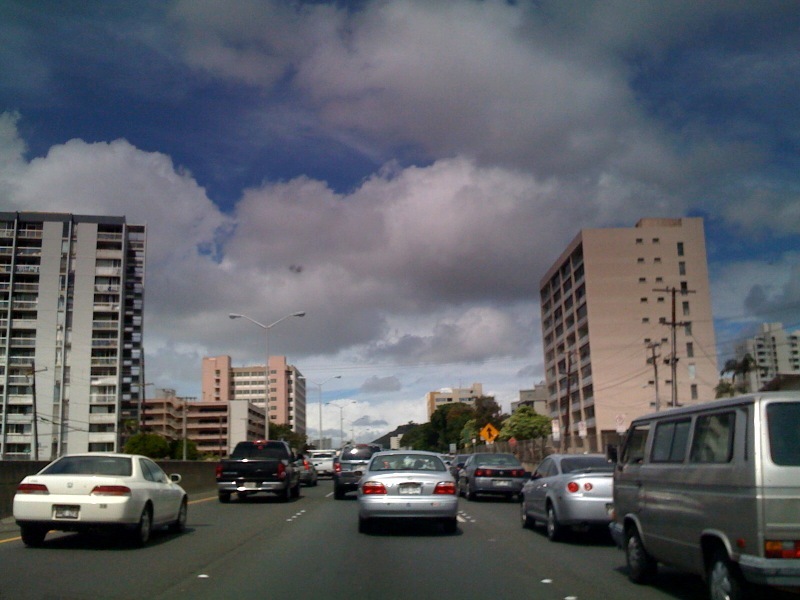 Oahu has gained about 88,000 residents during that time, but didn’t double. Overall the islands gained about 400,000 during the previous 33 years. That’s about 12,500 per year A thousand and forty people per month spread out over all the islands. That isn’t a tremendous rate of growth, it seems to be pretty steady, looking at the graph. Oahu, to me, seems like it is about maxed out on available space to turn into more houses. Condos could go vertical, and they have been for the past few decades. Honolulu has so many 20+ story buildings now. Is Maui going to see that happen soon? Maui has a little more land that could be turned into housing areas. There are lots of farms that could sell out and be re-zoned when it makes sense. Kauai has a lot of land left. Big Island certainly has a lot. For now Big Island looks like a great place to move. Rents and homes are still almost affordable, and it is growing, but not too fast. Is now the right time to move to Hawaii ? I am glad to see the opportunity is still there for people that want to do what it takes to go. Hawaii is a lovely place to live for some, and others will see quickly that it isn’t at all what they expected. There are so many factors that contribute to the Hawaii Life Experience, that it makes sense for some, and not for others. What is the top factor predicting success (long-term stays) in the islands? Unfortunately, I’d guess it’s money. Living in Hawaii takes a lot of money. Sure you can live like a surfer and share a room with six people, eat only twice a day – fruit and vegetables, rice and ramen… and some are happy like that for a while. Most of you reading this, won’t settle for a life where you’re getting much less than you are used to back in the mainland, or wherever you’re from. I was looking at condos and houses to rent for when we move back to the islands. It looks like we’ll be spending about $2,500 per month on rent alone to return to Oahu or Maui. That’s huge. That is more than double, and nearly triple, what I paid living as a single in 2002 on Oahu. Now I have a family of three, and of course costs rise, but throwing away $2.5k to rent? It looks like we’ll be heading, not to Maui, but to Big Island where we can buy a house much sooner. It just wouldn’t make any sense to live on Oahu or Maui and spend that kind of cash on rent for the next 20 years. That’s half a million dollars in rent during that time. The smart thing to do would be to save a lot of money for the downpayment on a house before moving over. If you’re considering it, and you can do such a thing – by all means go that route. Hawaii has been steadily gaining residents since it opened up to the outside world. That is not likely to change anytime soon. I’d hate to think that all the islands will be filled with skyscrapers like Waikiki is, but maybe that is where we’re headed in the next fifty years. For the next ten or so, twenty even, I think it will be a slow progression and then maybe too many people there for everyone to enjoy themselves. If you’re moving to Hawaii – any of the islands, do have a look at my “Moving to Hawaii” book there on the right side column. It’s $5 and has heaps of information to help you make the move. How will moving to Hawaii affect your family relationships? What will you give up if you move to Hawaii? Too many? Too many Melinial losers that just join the mainlander homeless problems the islands have. The natives want their islands back and demand the American government to abide by an agreement from the 40s or 50s? Start with chasing the Washington, Colorado, Oregon and California antifa melinial scum that think everything should be free and paid for by someone else that works for a living. they need to put a cap on people who want to move here, soon a huge tsunami will hit oahu and with a huge population like now national geographic is only giving everyone 30 mins to evacuate, with that much people trying to scramble to get to higher ground there is no way in hell there will be alot of survivors their estimating that when we do get hit it will push in 10 miles from the coastline in towards the mountain i personally would love to see it knock on oahu that way hawaii can be once what it use to be beautiful and empty its better you people stay in the mainland if you enjoy being alive.